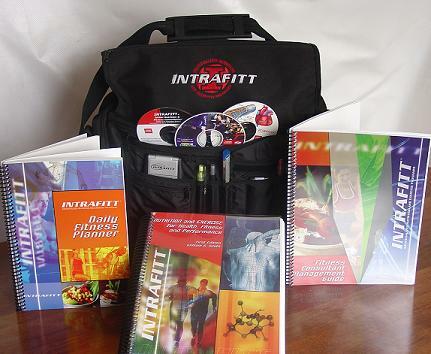 The INTRAFITT Clinical and Sports Nutrition and Exercise Distance Learning Certification Curriculum has recently been upgraded to provide a convenient yet comprehensive and interactive platform enabling licensed and allied health care professionals to better understand the effects that diet (organic/non-organic, whole natural, refined and processed foods) and exercise (or lack thereof) have on the major regulatory systems of the human body as well as the subsequent influence associated with all aspects of cell metabolism (including energy metabolism, anabolism, catabolism, thermogenesis and cell respiration). Evaluate eating and exercise habits of potential clients while pinpointing diet and exercise deficiencies that would prevent them from ever achieving their desired health & fitness goals. Build and present custom conditioning packages that appropriate your client's specific health & fitness objectives and guarantee their immediate and long term success! Present and teach lifestyle coaching applications that will modify and realign your client's existing thought and living habits with a life of heath, wealth, success and prosperity! Periodically evaluate your clients' progress while troubleshooting any and all existing or potential problems that he/she may be experiencing. ...then this is absolutely the certification curriculum for you! also with the background and confidence needed to ensure the immediate and long term success of each and every client they consult! Graduates of the INTRAFITT Clinical and Sports Nutrition and Exercise Distance Learning Certification C will immediately be able to custom fabricate individualized nutrition and exercise programs while effectively consulting and teaching clients from any and all walks of life including weight management, general health, disease prevention and reconciliation and sports and performance!